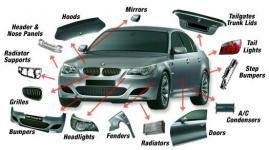 Anythingauto.co.za is the Ultimate full service automotive marketing and advertising company. We bring Automotive suppliers in direct contact with potential customers though a user-friendly information portal where they can easily find the products or services they require. Our ultimate goal is to ensure business growth, increase advertising return on investment, strategic alignment of our services with your company, understand your businesses product offering and directly channel your sales leads. With an in-depth experience in the South African Automotive Industry, Anythingauto.co.za provides a centralised point for customers to obtain supplier information. We are also an all-round marketing company that is able to provide your business with a wide range of corporate and brand related services which include a variety of design, print and web media. Anythingauto.co.za is one of the foremost automotive information portals within the South African web space attracting thousands of people looking to purchase automotive parts and accessories. We provide your potential customers with an easy to navigate platform to obtain information on products and services they are looking for. This enables us to put customers in direct contact with your business and allows us to inform you on how many customers we bring you per month. Because of our prominence in the Automotive industry, we also run a call center assisting customers to find the products and services they require. Getting your business to look the part, we offer a wide range of corporate and branding solutions to give your business a professional look and feel. Because we are the industry specialists, we can create the optimum brand positioning for your business, at a fraction of the usual costs. We specialise in SEO (search engine optimization) and currently have a level 3 google rating. We are The Ultimate Parts and Accessories Directory… Guaranteed!! !